Sabine Meyer Interview with Bruce Duffie . . . . . . . . .
As anyone who has read some of these interviews knows, it has always been a great joy for me to meet and speak with my guests, and then present their ideas on the radio, and now on my website. Working with the sound or the text is a privilege, and it is gratifying to know that the end-product is appreciated by both the artists themselves, and the public around the globe. 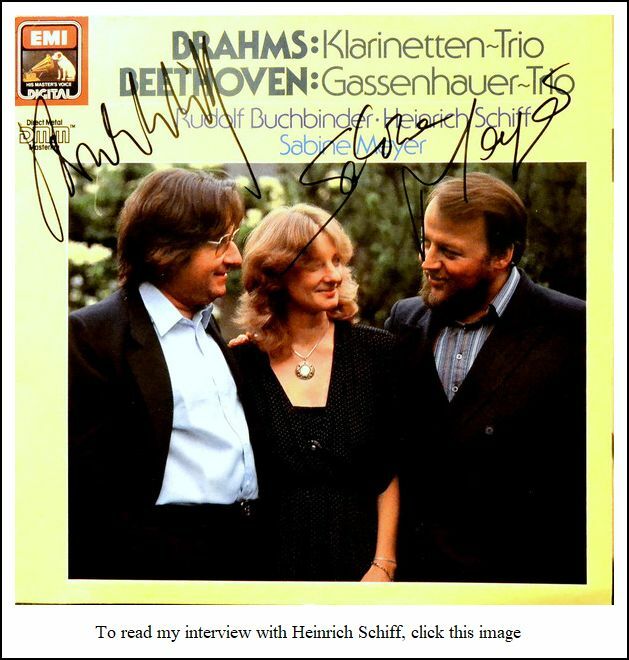 Once in awhile, however, something happens which saddens the whole procedure, and it was with shock and dismay that I learned of the death of Wolfgang Meyer while preparing this interview with his sister Sabine and her husband, Reiner Wehle. I had not met Wolfgang, but he was such an integral part of Sabine’s life that one cannot help but mourn him with her. The three are shown on the LP jacket below-right. 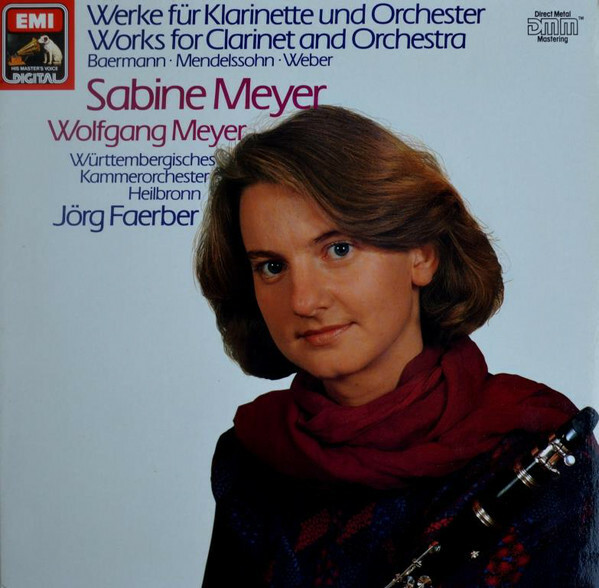 That said, let us now go back to Mid-July of 1994, when Sabine was in Highland Park, Illinois, to play the Weber Clarinet Concerto #1 with the Chicago Symphony Orchestra, led by Semyon Bychkov, at their summer home, the Ravinia Festival. This was one of my familiar ‘half-concerts’, where I would attend the first half, and then go backstage to interview the soloist during the second half! Unbeknownst to me when arranging the interview, Sabina’s husband, Reiner, would be with her for the conversation. This was fortunate, both for his knowledge and insight into the instrument itself, but also for his ability to render their thoughts into more solid English. So, when reading this transcript, watch the initials to know who is speaking. He did help her with the translation quite often, but I have tried to keep each one’s thoughts together. Having played bassoon (and later contrabassoon) throughout high school, college, and graduate school, I had a special empathy for other reed-players. Indeed, we had a lengthy discussion about reeds in the midst of the musical ideas! Besides the serious talk of music and its related ideas, there was much humor, and we all laughed many times during the discussion. Co-incidentally, they were also about to participate in Clarinet-Fest 94, sponsored by the International Clarinet Association. Because of the conjunction of these two events, the audience for the CSO concert had an abundance of clarinet players, to which we referred as we began our conversation . . . . . . .
Bruce Duffie: Thank you for coming to Chicago. 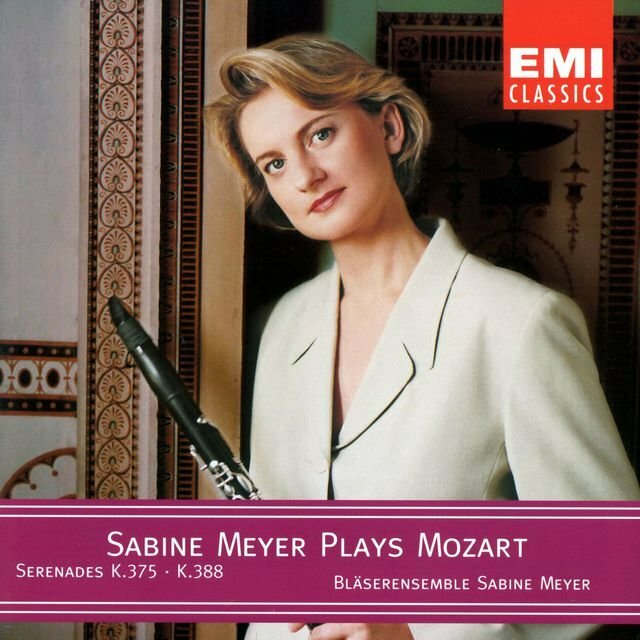 Sabine Meyer: Yes, I’m happy to be here. BD: Is it special to play in front of an audience that has a lot of clarinetists? SM: I didn’t know it before we came that this would be such. But it’s good. BD: Is there something special that clarinetists will understand more about your playing? SM: I think so, yes. They know all the special problems of clarinet playing. 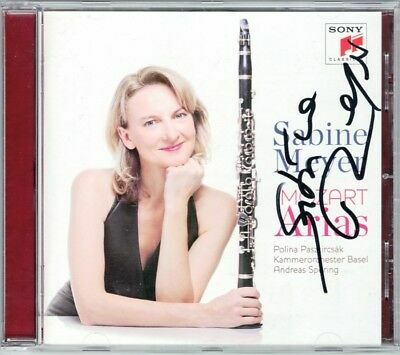 BD: [To her husband] You are also a clarinetist? Reiner Wehle: Yes, I’m the husband, and also a clarinet player. BD: Is it good to have two clarinet players together? SM: Yes, it’s very good. RW: Sometimes it’s very good! SM: We don’t have problems. RW: It’s an addition for two clarinet players. I can understand what she does, and so I think it’s good for us. SM: It’s nice. It’s not a conflict. BD: You say that a clarinetist would understand the special problems. Should the audience know about these special problems, or should they just listen to the music? SM: For the public, the important thing is that they just listen, and hear, and enjoy, and feel. There must be unity between player and the audience. There must be a bridge. The other problems are the technical ones which we speak about with other clarinet players. They listen to the technical problems. They will say, “Now comes the bar that’s very difficult.” That’s not so good. You should listen to the music and not hear the technical problems, only the music. So, it’s better to have a normal audience, and not a special clarinet-player audience. BD: You mention a bridge between the musicians and the public. Are you crossing the bridge, or are you bringing them across the bridge to you? SM: The problem for me is the reaction from the public. From the first moment when you come in, I notice how the atmosphere is in the hall. I need it. I play much better with an audience than on my records. I’m not so happy with my records. I need the public, I need the reaction, and I let the important thing be the music. This is what the music needs, not like this microphone [pointing to the one between us on the table]. BD: Do you adjust your playing for the microphone, for the record? SM: No, I don’t change my playing, but I play for the orchestra, or for the conductor. Also, there’s a little difference between a big audience and a small one. But I try to play all the time as best as I can. RW: Maybe it’s more perfect if you have a recording session, but she thinks she plays much better in a public concert, and I’m sure she does. BD: It’s good after a concert to relax a little bit. Do you want the audience to relax and enjoy the music, or do you want them to concentrate and get very nuance? SM: No! When the public is relaxed, this is terrible. After dinner they come to the concert, and come to sleep, or only to hear a little bit of music. You need the concentration from the public. It’s important. BD: In the music you play, how much is art and how much is entertainment? SM: [Laughs] Rossini is entertainment, but Brahms, for example, is more spiritual, more exciting. It’s good when you have both but you can’t have both always. RW: It depends on the music you play. There is some music which is entertainment, for example, Rossini. It has nothing to do with the quality of the music. That’s the difference. But there exists music which is entertainment, which wants to be entertainment, like Rossini, or like some Mozart pieces, and there is some music, like Bruckner, or Brahms which has nothing to do with entertainment. It’s serious art, and you should play it so. You should enjoy it in this way. BD: Are there some pieces that have some art and some entertainment blended together? 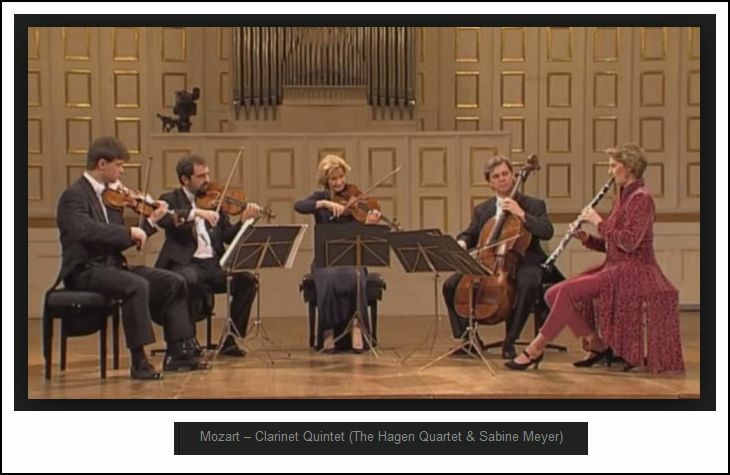 SM: Mozart, Haydn. Haydn is more. RW: Mozart once said, in a letter to his father, that he wanted to compose the piano concertos in a very serious manner for the people who understand music very much, and in a very light manner for those who don’t understand music very much. He wanted to make both concepts in one piece, and I think this is the best way. BD: From the clarinet literature, how do you decide which pieces you’re going to play, and which pieces you are not going to play? Or are you simply going to play all of the clarinet literature? 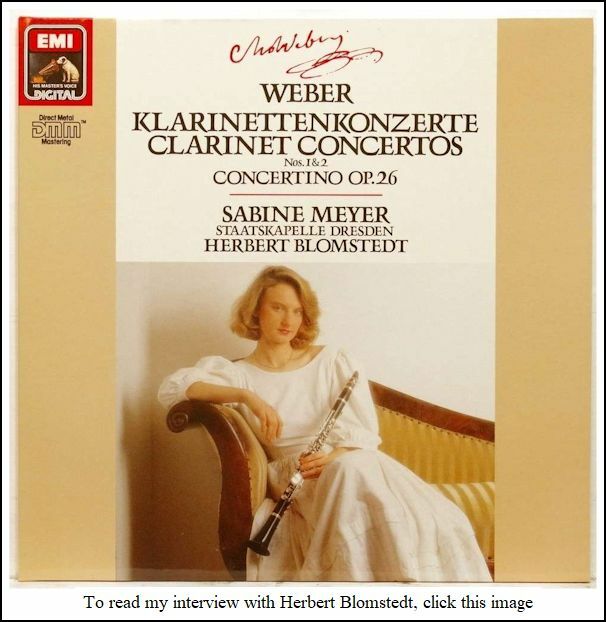 SM: The clarinet literature is not as big as the violin or the piano literature, so I can’t say I don’t like Weber, but it’s terrible for a clarinet player. BD: Are you trying to expand the clarinet literature? SM: Yes, we make very much modern music. We go to the contemporary music, and we try to make good programs. 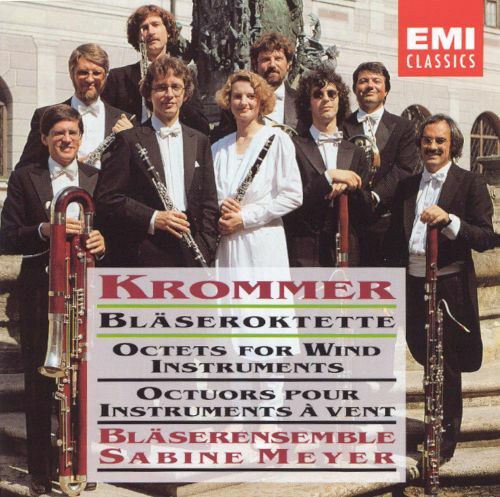 We also make interesting programs with not-so-famous composers, like Stamitz, or Krommer. He wrote very, very well for woodwind players, and that’s a good thing. BD: Are the new composers, the contemporary composers, writing well for the clarinet? RW: It depends on which composer it is. BD: When you ask a composer to write for you, do you give him or her any specific idea, or do you just say, “Write me a piece”? SM: No, when they write me a piece, we work together so he can ask us some things about our instrument. For the ensemble, he might as if we want it with contra bassoon or without, or a few other things about what we like or not like. BD: Since that was my instrument, let me ask that you always include a good contrabassoon part! [Much laughter all around] You play the clarinet, the basset clarinet, and also the bass clarinet? 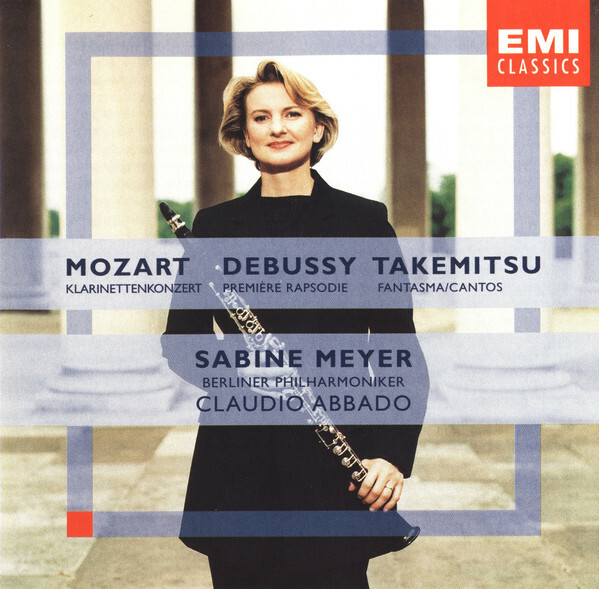 BD: Would you encourage concertos for bass clarinet? SM: [Laughs] No, I would never play a concerto for bass clarinet. RW: She’s not a specialist in bass clarinet. There are some people who are very, very famous for the bass clarinet, like the Dutch clarinetist, Harry Sparnaay. He’s very famous on the bass clarinet, and he plays only bass clarinet. But, that’s not her job. Sometimes you have a piece where you have to use the bass clarinet. For example, Schoenberg’s Pierrot Lunaire, where you have to change between clarinet and bass clarinet, and that she does. 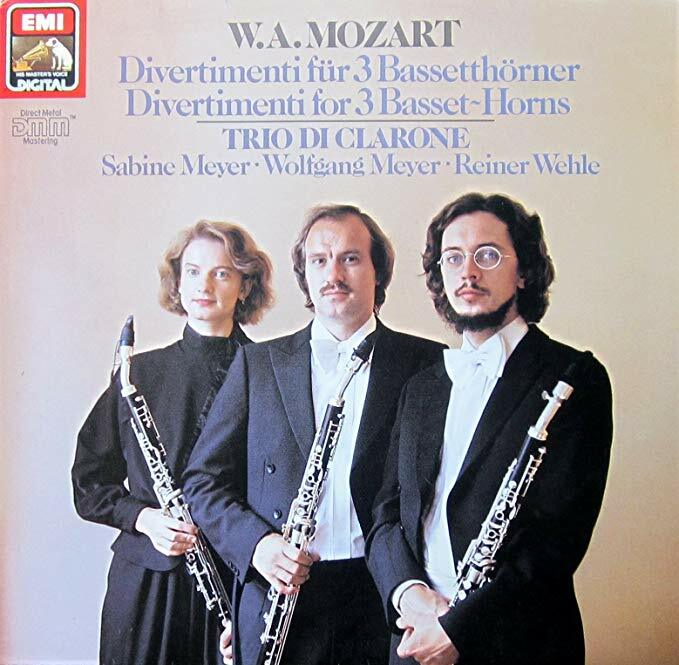 BD: Now, for instance, on the Mozart Concerto, is there ever any reason not to use the basset clarinet? SM: No, you have to use the basset clarinet. That’s very important, and this is the original instrument for this concerto. The problem exists for all clarinet players. This is what Mozart wanted. BD: So it’s wrong to use the standard clarinet? RW: You should imagine a pianist who plays a Mozart concerto on a piano that has four tones missing. For the Mozart Concerto, it’s impossible. No one would do it, even though people did for nearly two hundred years. BD: Are you glad that we’re back to having the basset clarinets available and understood? RW: I don’t think anybody should play it on a normal clarinet with orchestra, but students and music schools must do it because it’s very expensive to buy a basset clarinet for only this one piece. That’s the difficulty. SM: The good thing is that more and more conductors who want to play the Mozart Concerto say they want it played on the basset clarinet. So, that’s a good direction. BD: When you play a concerto, like you did tonight, how much collaboration is there between you and the conductor? SM: For the Weber Concerto, it’s not so important. The Weber orchestral part is simple when it is together. It is the solo clarinet which is more complicated than the accompaniment. RW: They only accompany the solo player. It’s not so complicated. SM: It is more important when you play the Mozart Concerto. You need a good orchestra, you need a conductor who makes everything, and is not thinking only about the symphony which is coming after the intermission. BD: Is all your work done at the rehearsal, or do you leave something for the inspiration of the concert? SM: I can’t do that. All the time it comes from the moment. You can’t stay before the conductor as he makes this here, and this here. Some things you have to do. You have to rehearse it together with the orchestra, but many, many other things come from the moment, and make the music. BD: Now a piece like the Weber, which you just performed, is one that you have played many, many times. If you’re coming to a concert, do you start from scratch to relearn it, or do you just simply bring it again and learn a little more each time? SM: When it is good music you don’t have to learn it all the time anew. But when you have good music, you can create it anew with good music. The good music is my nourishment! You can create it new and make new things. RW: But you need music every day. SM: Yes, but we need also holidays. BD: It’s good that you both need music. SM & RW: Yes, yes. BD: Do your children need music yet? RW: Yes, the little boy plays the piano. He’s seven years old, and has lesson on the piano. Our daughter is five years old. She wants to do it, but we say it’s too early. SM: She can wait a little bit. BD: Are you going to encourage them to get into the business, or will you try and keep them out the business? RW: That’s a big difference. They should do music as they like music, and they want to do it, and we are happy that they want to do it. But as a business, that’s a question which comes much, much later. SM: It’s difficult for children who have famous parents. That’s very, very difficult for both of sides. BD: Is it difficult for parents just to be famous? SM: No, but it is for the children. The parents must be good musicians, and they must be so perfect as parents. BD: You play concertos, you play chamber music, you play solo recitals. How do you divide your career amongst all of those? SM: I do those solo concertos with orchestra, and chamber music. Both are important, and it divides nearly half and half. I can play whatever I want, and not do things which have no interest. BD: It’s good to be in control and so that you can decide. SM: Yes. He (RW) has it under control. BD: Do you work with the conductor alone, or do you wait to rehearse with the orchestra? SM: We work together before the first rehearsal. We have time on our own, about half an hour, and we speak about the piece. I play a little bit of the difficult parts, and the important parts for both, so that’s important. BD: Do you adjust your technique of playing for a small house or a large house, or outdoors? SM: [With mock horror] Another technique??? I do need a special reed when I play the Nielsen Concerto, or when I play the Mozart Concerto, so you need different materials, or when you play chamber music, or sonatas with piano, you have to work a little bit different with the material. BD: So you have different reeds for each one? SM: I have different reeds, yes. But when you have a very, very good reed, so you can play all with the one reed. BD: How long does a reed like that last? SM: Oh, my God! They’re all different in their wood, which is hard or soft. Sometimes you have a reed you can play for twenty concerts or more, and then you have a good reed that you can play only one concert or two, and then it’s the end. [Laughs] You can’t say how long a reed will last. It’s impossible. BD: Have you ever have a reed die on you in a concert, like when a violinist breaks a string? RW: [Gently contradicting] It’s never happened to her. It’s not like string which makes a ‘ping’ and it’s gone. There’s no way it would go bad so quickly. BD: So, you know when it’s starting to die? SM & RW: Yes! [Laughter all around] Sometimes it happens that it starts to die in the third movement! That happens very often. BD: Do you bring an extra reed or two with you onto the platform? RW: She felt bad, and we didn’t hear it. BD: Then do you adjust the embouchure and work a little harder? SM: Yes, but for me it’s very important to have good material to feel good, and when I feel good, I can play better. BD: Are the reeds you use ready-made, or do you whittle on them a little bit? SM: We make them all the time, but he’s the important reed maker for me. He makes them from the beginning. BD: [To RW] How long does it take to work with a reed and get it so it’s just right for you... and is it different to make it just right for her? RW: No, we can use the same reeds. We have nearly the same mouthpieces and need nearly the same reeds. But with the reeds it’s continuous work. The reed is wood, and the wood changes. It’s a question of humidity and other things. RW: Yes, from altitude, for example. So, you have to change the reed every day a little bit. BD: [Drawing from his own experience with double-reeds for the bassoon] You can scrape a little bit off, but you can’t put anything back. RW: Yes, you can cut it a little bit. There’s special instrument to cut it a little bit. Then it’s strong, and you have to cut off a little bit. Then, if it was too much, then you cut it again. It’s hard work. BD: Do you start with the raw cane, or do you start with a partially made reed? RW: Both, but it’s better to start with the cane, if you have the wood. SM: We try, now, to make it from the beginning, and we think this is the best way. SM: In the garden! We could live there. BD: How many reeds do you normally have when you’re on tour? Do you bring ten reeds, a thousand reeds...? SM: I have twelve. Six reeds are ready, and one I can say is the one I can play for the concert. The other ones you have to work on all the time. BD: Do you work on them, also? SM: Yes, I have to do it. He’s not with me all the time. RW: It’s not very difficult the problem, because you must know what you have to do. You must play on your best reed. The only difficulty is to find the best reed. One is the best, and every evening it’s the same — find the one which is the best. BD: But it’ll be different each time? RW: Yes, and you must find it, you must find it! [Gales of laughter] If I am with her, I can help her find it. SM: It is a bit difficult. I am a little bit nervous, and your approach or embouchure can be different. What shall I bring? I try this, I try this, and it changes all the time. RW: It is clear when it doesn’t work! BD: Sometimes they’re all very close to being the best? RW: So, it’s very good if I am there. I’d say it sounds great, you should take this one. Like today, it was good, but she’s still not sure. BD: [Re-assuringly] Oh, it sounded fine! SM: It was a new one. I played it for the first time today, and my feeling was it would be better to take the old one. It’s always difficult to play with a new reed. BD: Can I assume that if there are any problems working with the reed in the rehearsal, adjustments are made? SM: When I play in the rehearsal, I use different reeds. RW: In the rehearsal, she tried three different reeds. She tried them in the dressing room. You must try them in the room, and listen to the sound, and then you can decide this is a little bit too thin in tone, and this is better for such a big hall, and so on. BD: But you didn’t rehearse on this one you used this evening? RW: It was brand new. BD: I would think that’s dangerous. RW: That’s dangerous, yes. It’s not very often that she does that. SM: It’s also dangerous to try anything shortly before the concert on the reed. RW: Before the concert, you are nervous and you make mistakes. BD: Even now, with so many concerts behind you, you are still nervous before the concert starts? BD: Is there anything you can do to get over that, or must you simply just go ahead? SM: I have a few things that I can do before the concert to become calm. BD: Does the nervousness evaporate when you walk out, or when you begin playing? SM: No, mostly I’m nervous before, but on the stage it’s okay. I know I must play now. I have to play. There is no way out! RW: It’s more the waiting for the concert, which is hard on the nerves. SM: But always when I’m not nervous, the performance is also a little bit poorer. It’s good just to be a little bit nervous. BD: Just a little tension? SM: Just a little is good. BD: Let me ask you the big question. What is the purpose of music? SM: [Thinks a moment] The purpose is to express yourself. It’s important that you find what the composer wanted. You have to play only the music. RW: It’s very difficult to explain because there are parts of you in what you are doing. But the important thing is the composition. SM: Yes, and only to play what is there. RW: It’s the bigger part. BD: I see. Just Mozart’s Mozart? SM: Yes, just Mozart, and you have to find his way, and find out what the composer wanted to say. It’s his music. BD: So you’re always digging more into the music? SM: Yes, you find all the time more things, new things. You have to do this. You’re only the instrument of the composer. BD: Are you always playing the instrument, or does the instrument become part of you? RW: Yes, there are two things. She is an instrument of the composer. She, with her instrument, the clarinet, but the clarinet instrument mustn’t be between her and the music. It must have unity, and she must sing with her instrument. She must know the technical problems between her and the music, as if there was no instrument in this sense. BD: So the instrument becomes an extension of her? RW: Yes, of her, of course. SM: When I see some musicians, I see the person, and the instrument, and it’s two different things. When I play, they must be together, the instrument and you. RW: Like a singer-instrument, yes, the instrument is a part of the performer. BD: One last question. Is playing the clarinet fun? SM: [Big sigh] Yes! [Laughs] This is my instrument! I like it, and it’s important for me, and it’s my life. I don’t want to play the flute or any other instrument. BD: [To both] Thank you so much for coming, and for the conversation. SM & RW: [They laugh] Thank you so much. We are looking forward to the Clarinet Festival coming up on Sunday morning. BD: Lots of adoring fans! SM: Yes! [They burst out laughing] All clarinet fans! This conversation was recorded backstage at the Ravinia Festival in Highland Park Illinois, on July 15, 1994. Portions were broadcast on WNIB in 2001. This transcription was made in 2019, and posted on this website at that time. My thanks to British soprano Una Barry for her help in preparing this website presentation.